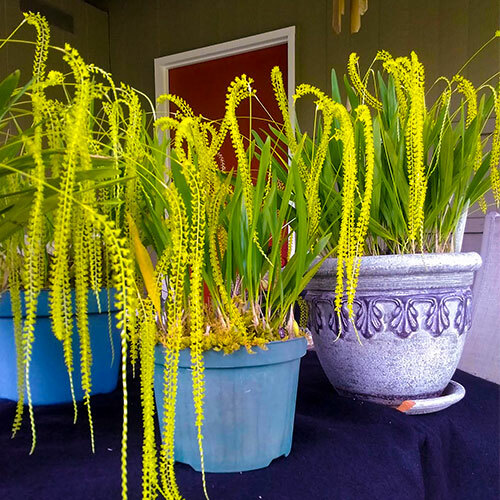 Ready for harvest – the dramatic “yellow cat’s tail” dendrochilum orchids – in many cases the smallest orchids most visitors to The Islands have seen. These are destined for my Zipper collection of rectangular and square pendants and earrings all set in handmade rhodium plated pewter, using several varieties of micro mini orchids in many different colors. 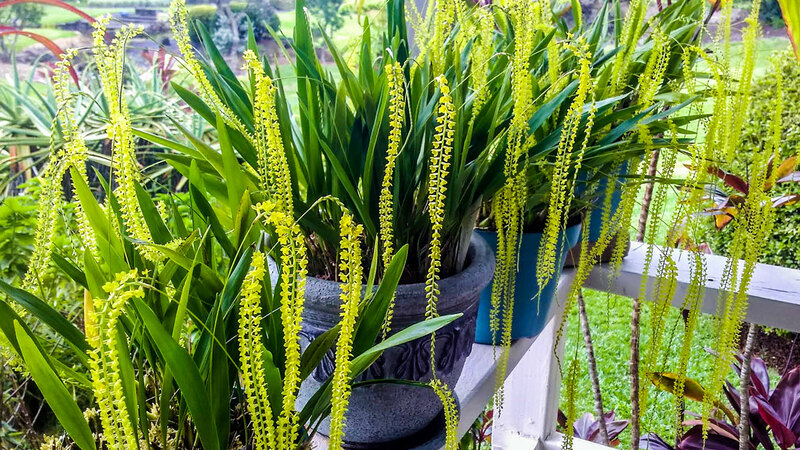 Each of these is so unique they are only available from my Hilo location and Dole Plantation on Oahu. However it is my hoped-for plan to make this premium collection also available soon on this web site on a “one-of-a-kind” basis. 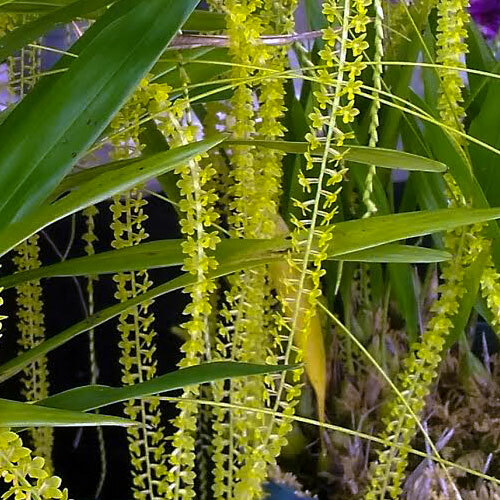 The flowers pictured here are Dendrochilum filiforme being one of the smaller species in a wide range in this genus flowering every mid June in Hawaii. 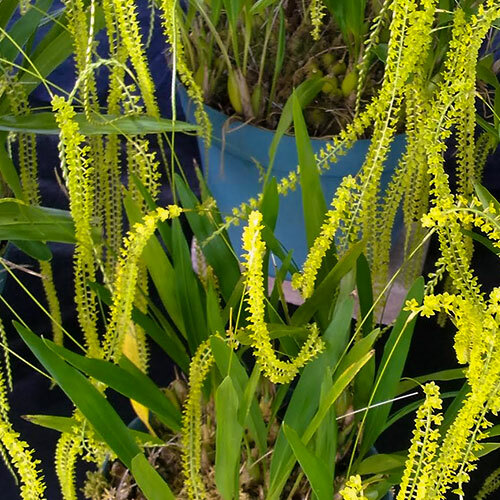 They are often confused with the species uncartum which at a glance at photos is identical but which in reality is about three to four times larger in the flower and blooms in April/May.